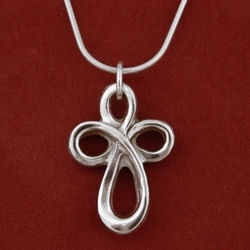 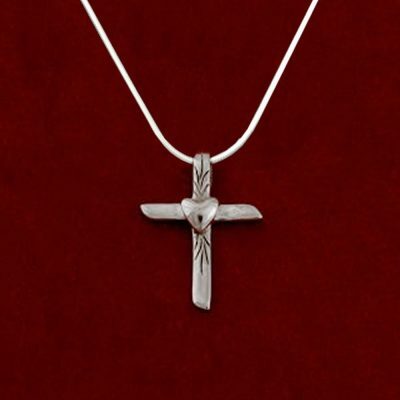 Cross comes on 16″,18″, or 20″ sterling silver snake chain with a lobster closure. 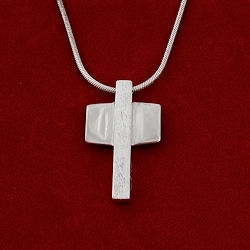 Measures 3/4″ wide by 1-1/4″ high. 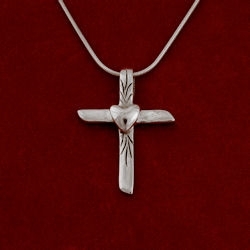 Is reversible with one side high polished and the reverse has the middle brushed.